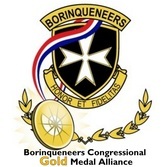 The following are a couple of outstanding facts about the 65th Infantry Regiment Borinqueneers which made them a distinguished unit. These facts can also serve as talking points for your next 65th Inf. CGM presentation. -With the 65th Inf., earned his 1st of 2 Distinguished Service Crosses (Army’s highest decoration). -65th Infantry did not just consist of Puerto Rican Veterans.